The next level of Collaboration in Bangalore is now live! What an exhilarating journey it’s been, and it’s only the start. After many weeks of immaculate conceptualizing, planning, and executing, our newest level, a space that is designed to increase productivity, is ready for hustlers across the city. Our new space is built to cater to all needs, with varied options from fully customizable offices, to private offices, and free floating hot desks. We are also announcing the second edition of Open Hive, which is an exclusive opportunity to spend the day working at the Hive, on the house; packed with opportunities to discover the vibrant community, our various partnerships, and also some exciting events. All you’ve got to do, to be here, is let us know. With The Hive’s seamless integration with world class amenities at VR Bengaluru, let’s just say you’ll be spoilt for choice. 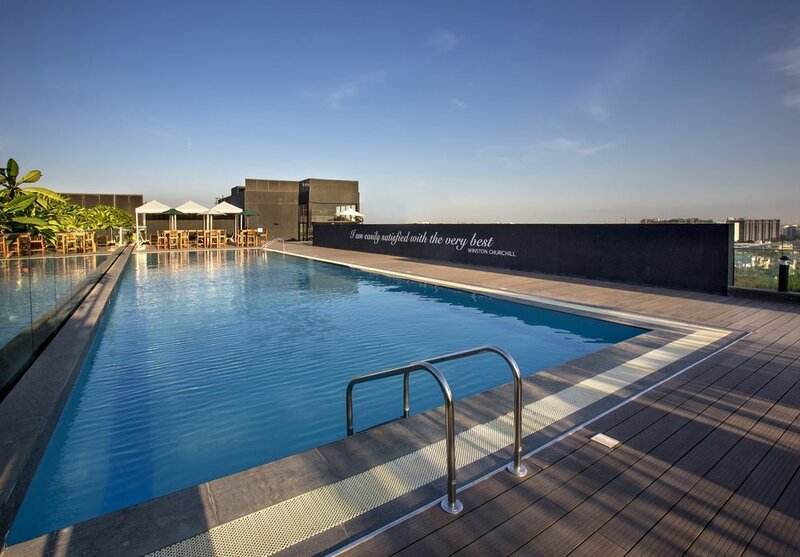 Ranging from a Fitness Centre, a Rooftop Swimming Pool overlooking the city skyline, a Microbrewery to get you some Beer on tap (yes, that's true! ), The Waverly that gives you a luxury boutique accommodation option (hotel and long stay residence), diverse Retail Shopping experience, some top notch Restaurants & Cafes, a Spa, a 9-screen PVR & PVR Gold, and much more just a few steps away from your desk make it convenient to have a holistic lifestyle, without having to deal with Bangalore’s mundane traffic. Along with this, comes a thriving community, which facilitates networking, collaboration, and exchange of business opportunities. Several members of our community have found The Hive to be a great platform to connect with entrepreneurs, freelancers, subject matter experts, and investors. With the new floor now live, our member community just got bigger, a classic case of more the merrier. And amongst all this hustle, there’s more awesome news coming your way! We will be launching our Chennai Workspace very soon. The Hive Chennai is all set to bring together the best of modern workspaces and Chennai’s rich culture. It is scheduled to open on 18th June, 2018. Stay tuned for an exclusive sneak-peek to the state-of-the-art facility. Developers Party at The Hive Chennai!